Heard about the Greek restaurant Milos for some time and finally made it out there one evening to check it out. The place was pretty busy when we got there, so I was hoping for the best. Service was pretty good as you might expect from a more expensive place like this. The downside was our table position; they squeezed us in tightly between other tables and had to jostle us around more than once during food service which was distracting. 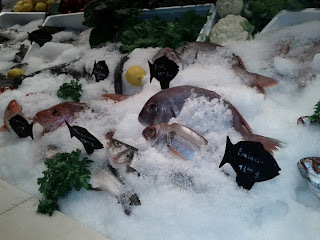 Similar to Rayan Restaurant, they have a fish counter where you can check out the fish that you may want to order; in the end we just ordered off the standard menu. Many restaurants I've been to seem to have starters that outshine their main courses, and looking back I think this may another one of those times. 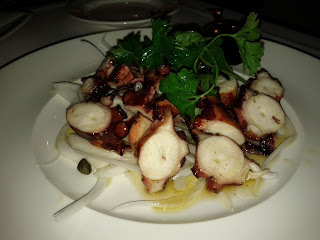 The Milos Special (Paper thin zucchini and eggplant, lightly fried saganaki cheese and tzazik) and Octopus (Sashimi quality Mediterranean octopus, charcoal broiled) were simply great. We couldn't stop eating them, and had to hold back and leave room for our mains. The main courses were fine, although nothing that really made me want to order them again; maybe it was a result of being spoiled by the starters. In the end, the starters were the most memorable for me, and what I would look forward to those the most next time around. 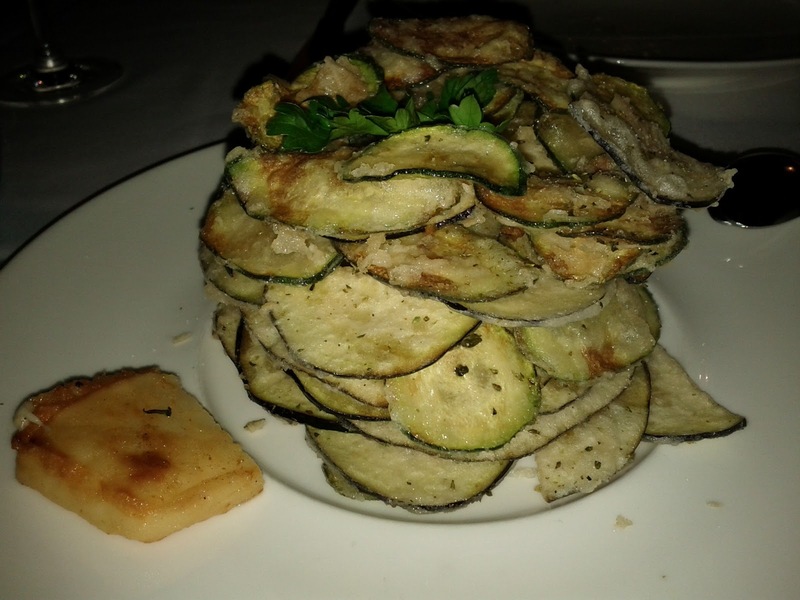 Milos Special, it was like eating chips...Really tasty. Grilled Octopus cooked without being dried out. 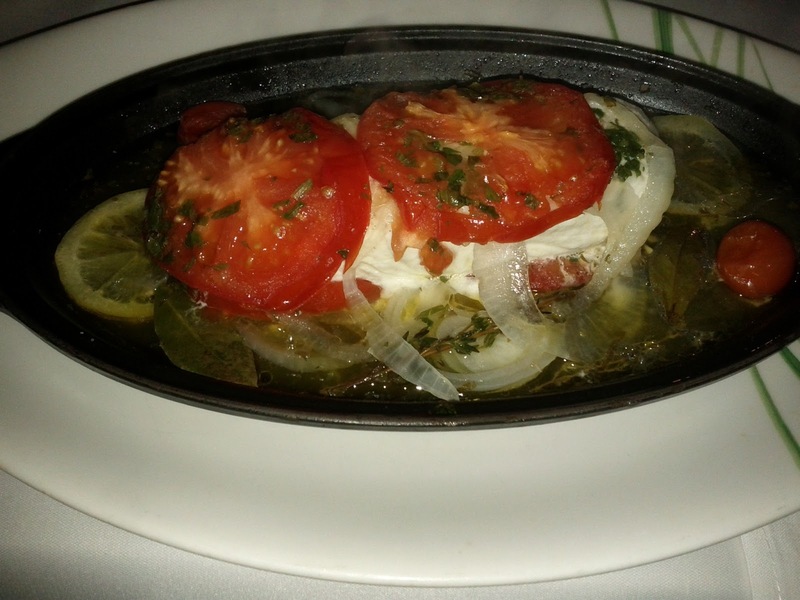 Halibut with tomatoes and olive ooil. 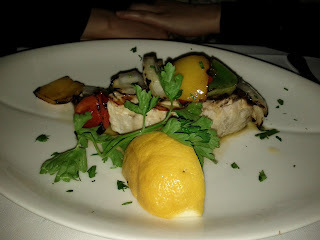 Grilled Swordfish, maybe slightly overcooked if you ask me.